The annual energy cost ($0.05 per kW) per mouse varies significantly between three diffrent caging systems: Open= $1.00, IVC=$1.66, and EVC=$0.82. The Open and IVC systems have significant heat radiation to room and heat transfer to mass while the EVC system has no heat load that either radiate to the room or transfer to the mass of the rack. From planning, supplying, equipment training and population management, MouseCare is your unique efficient solution. 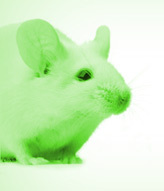 Recovery Act Limited Competition (C06) Mouse Cares President and Chief Scientific Officer, Dr. Germain Rivard, has partnered with a major US university to upgrade and expand their animal facilities in an effort to make their operations more efficient and sustainable. Dr. Rivard submits to the Recovery Act Limited Competition (C06) a grant proposal titled: Green Vivarium Expansion. 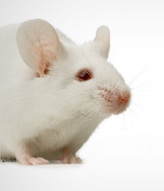 Public appareance of MouseCare president, forums, training and seminars. In the rodent housing industry, the right order of things to do to reduce energy use is: first, reduce the demand for plug-ins and air changes; second, recover conditioned exhaust air energy with heat recovery system; and finally, use renewable strategies. MouseCare - Discover what can do for you!